Attention California Birth Center Owners! CALM now has a Birth Center Division. The purpose of the Birth Center Division is to advocate for and represent midwife owned birth centers in California. If you are a CALM member and a birth center owner you qualify for a CALM Birth Center Membership. Current Birth Center Membership dues are $150 per year. In addition to the CALM midwife membership benefits, your birth center will be listed on the CALM ‘Find a Birth Center’ page. There are many valuable benefits to CALM membership, many of which are listed here. CALM members include LMs, CNMs, student midwives and retired midwives. CALMs birth center division, in collaboration with CALM leadership, was responsible for persuading the California Department of Health Care Services to release a new All Plan Letter (APL) to California managed care plans telling them to comply with network adequacy federal and state laws by including birth centers, nurse midwives and licensed midwives in their networks. CALM retained lawyer, Susan Jenkins, is now working with a pilot group of birth centers to become licensed specialty clinic Alternative Birth Centers. 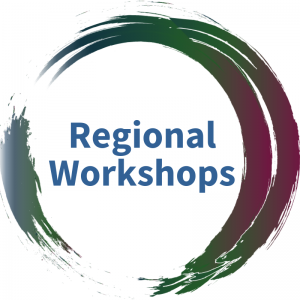 If you are a birth center owner and want to be part of the next cohort to get your birth center licensed, contact Birth Center Division administrative coordinator Rosanna Davis info@calmidwives.org. The birth center division was launched in 2017 with a survey, after being asked by multiple birth center owners to take a leadership and administrative role on behalf of midwife owned birth centers. The results of the survey indicated birth center owners are strongly in favor of CALM to taking an active role advocating for midwife owned birth centers. Recent activities by CALM include advocating to protect the status of ‘exempt from licensure’ birth centers. The ‘exempt from licensure’ status assures access, affordability and protects the legacy of freestanding birth centers. Membership issues, inquiries about volunteer opportunities and logistical questions can be directed to Rosanna Davis LM CPM president@calmidwives.org. CALM midwife members who also own a birth center may enroll their Birth Center as a Birth Center Division (BCD) Member. 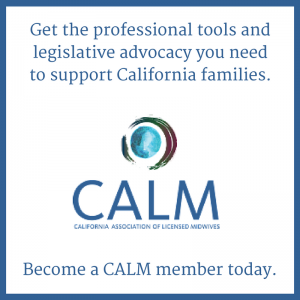 BCD Membership supports CALMs Birth Center Division advocacy activities and brings your birth center’s voice to the table with CALMs Birth Center Division. BCD Members will be listed on CALMs find a Birth Center Page. BCD Membership is $150/year. To apply, please complete the application below. Once your application is reviewed, you will receive an invoice for the listing fees. Please direct questions about birth center membership to Rosanna Davis, Admin support for the Birth Center division, or Jocelyn Dugan membership support for CALM.